The Party 1968 - 99 min. 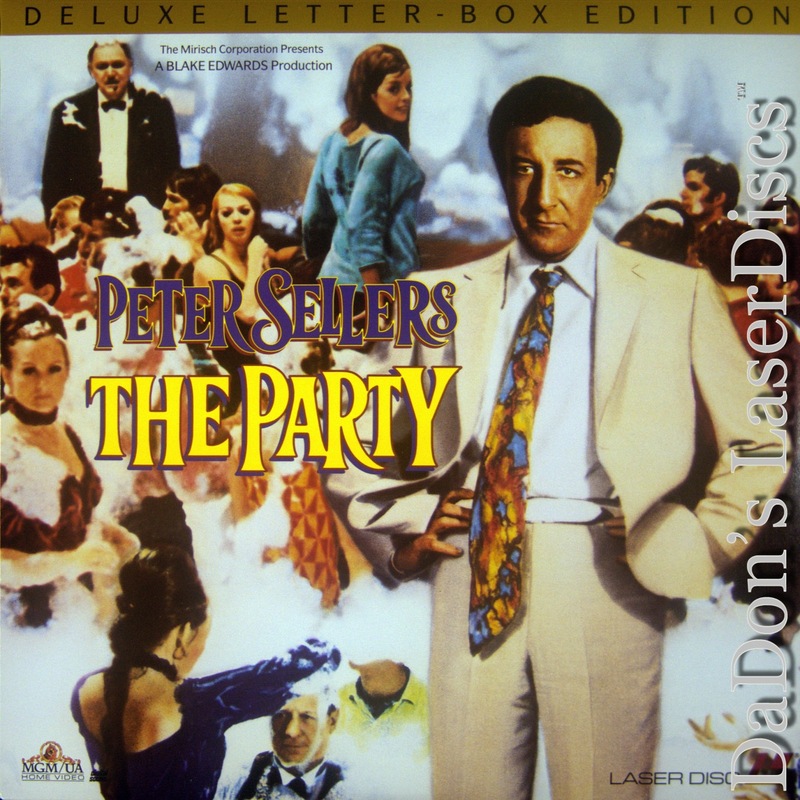 - Color Genre: Comedy Not Rated Country: USA LaserDisc Movie Storyline: Peter Sellers is a disaster-prone actor from India who is at first thrown off the set by the producer of a film then invited to his posh Hollywood party. This uneven comedy depends on bathroom humor and sight gags for many of the laughs. Michele Monet (Claudine Longet) provides the female romantic angle, and Gavin Macleod is the angry producer who banishes Sellers from the set. A foreign princess, a drunken starlet, a man-happy hair dresser, and a model called "Wiggy" are just a few of the party guests. Henri Mancini provides the music and co-wrote the title tune sung by Claudine Longet. Dan Pavlides LaserDisc Movie Review: Peter Sellers plays a bumbling foreigner once again (but this time he's not from France) in this cult-favorite comedy. Hrundi V. Bakshi (Peter Sellers) is an accident-prone actor from India who has come to California, hoping to make a name for himself in Hollywood movies. However, Bakshi quickly makes the wrong impression on producer C.S. Divot (Gavin MacLeod) and studio chief Fred Clutterbuck (J. Edward McKinley) when he accidentally blows up the set for his first film. Clutterbuck jots down Bakshi's name to remind himself to have the actor blacklisted, but he doesn't realize that he's put the name on the guest list for an upcoming party at his home. Bakshi sees the social event as an opportunity to get back in Clutterbuck's good graces, but from the moment he arrives, one thing after another goes wrong, with increasing effect; it doesn't help that he finds himself infatuated with Michele Monet (Claudine Longet), Divot's latest starlet discovery. 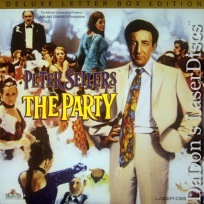 Director Blake Edwards shot The Party with a minimal script to allow Peter Sellers and the other comic actors greater room for slapstick improvisation, which helps explain why many of the film's most memorable scenes feature little or no dialogue. ~ Mark Deming, Rovi Thanks for Visiting DaDon's Rare LaserDiscs ! Reviews, Articles, Newsletter and Information for Movies on LaserDisc LD Laser Disc, LazerDisc. Welcome Rare LaserDisc Collector ! LazerDisc Movies, Features and Reviews. Information, Articles and Laser Disc Tips and Tricks.